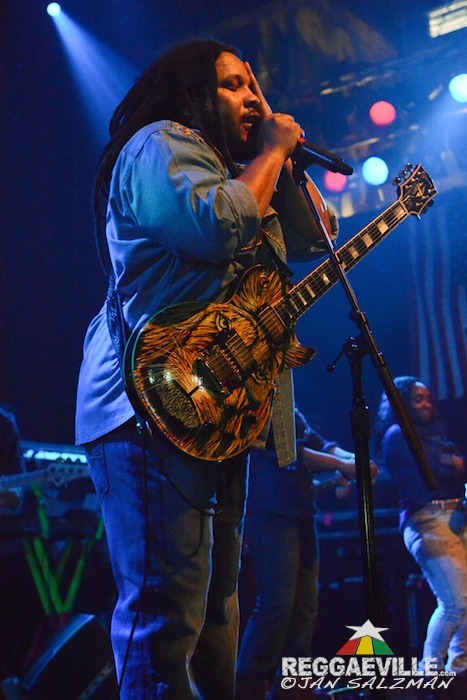 On May 16th, 2014 the House of Blues Hollywood featured Stephen ”Ragga” Marley ”The Fruit of Life” Tour with Wayne Marshall, and Jo Mersa. This was a sold out show with the capacity of 1,100. Many people were left out, but the lucky ones inside knew they were in for an epic show. 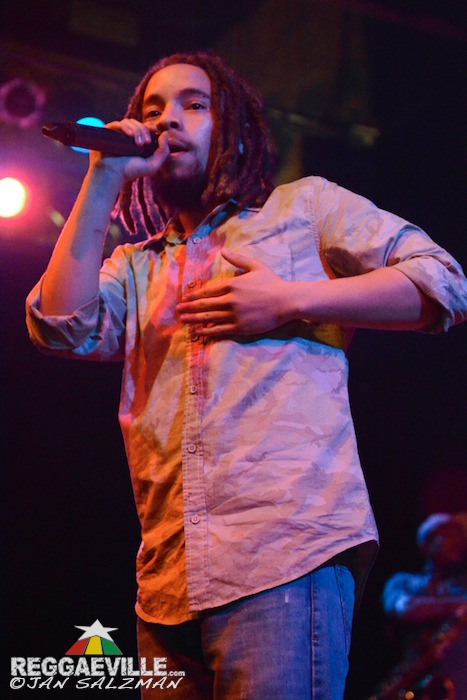 The opening act started at 8:45pm with Joseph “Jo” Mersa Marley, the grandson of the great Bob Marley and son of eight time Grammy winner Stephen Marley. The influence of music runs through all of the Marleys and Mersa is living proof that the musical gene lives on. He is a third generation Marley with so much in his future. On this tour Jo Mersa has become the opening act promoting his upcoming EP called Comfortable, releasing June 10, 2014. Jo Mersa’s performances hit the crowd with a youthful burst of energy. His music’s major influences come from the genres of dancehall and hip hop. One of the songs he performed also called Comfortable is part of Ghetto Youths International compilation, Set Up Shop Volume 1. His father’s influence is one of the reasons why he is becoming a strong solo artist. The crowd at the House of Blues Hollywood had only love for Jo Mersa’s music. His twenty minute set was impressive and memorable. The second opening act before Stephen Marley was Wayne Marshall, a reggae dancehall artist from Jamaica. He entertained Hollywood for a good thirty minutes with songs like OK, a popular 2005 release, Stupid Money from his 2014 album, Tru Colors and My Heart, a 2010 release. His massive dancehall influence definitely got the crowd jumping. Wayne Marshall is also part of The Ghetto Youth Crew, so there is no stopping him from taking the crowd to another level. Full of love and praise, Wayne spoke of how Stephen Marley is the best artist he has been on tour with. After a 20 minutes change over the time was right for headliner Stephen Marley. At 9:53pm instruments began to echo through the venue, letting everyone know the most important performance had begun. Songs from his 2011 Revelation, Part 1: The Root of Life definitely warmed up the crowd. Can’t Keep I Down which had a great Sax Solo, No Cigarette and Pale Moonlight set the mood full of positive vibes. He also highlighted a few of his songs from his 2007 Mind Control Album; Hey Baby, Traffic Jam and Iron Bars. Stephen Marley is extremely talented with his signature lion head guitar at hand. Just listening to the sound he brought through that guitar gave an intimate feel of how passionate he is about his music and his fathers legacy. Many more of his timeless tunes were performed including new music from his forthcoming album Revelation, Part 2: The Fruit of Life, Thorne or Rose and Rock Stone. It was awesome to see his brother Ziggy Marley watching from the balcony of the venue. They announced that their mother Rita Marley was in the house as well. A very proud brother, Ziggy Marley tweeted a picture of himself with the stage behind him and Stephen Marley on the microphone. Stephen also performed Bob Marley classics Could You Be Loved and Get Up Stand Up. Get Up Stand Up had a special surprise performer: Ziggy Marley. This moment was not rehearsed and it truly highlighted the tightness the brothers have for each other. The Marley fans were also included in this duo as they sang along. The last song Stephen Marley performed was called Revelation Party that included a short guest appearance by his son Jo Mersa. This song ended the night in such a calming and inspirational way. Acoustic vibes filled the air with the life of Bob Marley and his generations of musical blood. There’s no doubt that the great Bob Marley lives on through his children, grandchildren and so on. Stephen Marley has made it a point to set off his own unique style, but with one thing in common and that is the message his father once spoke so clearly about: to live life with understanding and love for one another. Life is a struggle, but living with unity and without fear lets us Live, Love and bring Awareness and Justice where it’s needed as one people.